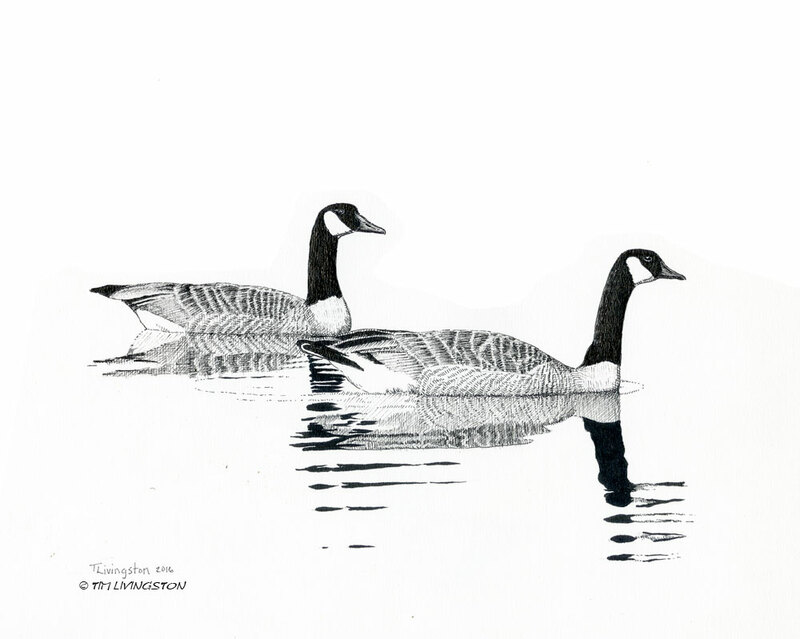 This entry was posted in Drawing, Pen and Ink, photography and tagged birding, birds, Canada geese, drawing, Forester Artist, geese, nature, pen and ink, Pen drawing, photography, wildlife by foresterartist. Bookmark the permalink. Lovely drawing Tim. Looks like the geese misjudged Sailor! I think so too. Sailor loves geese. Really really loves geese! You make it look so easy. Your artwork is beautiful. Sometimes it is! Sometimes not so much. Loved this and shared it on FB. Keep ’em coming! Thank you so much Linda! I have another goose for next week. Gorgeous pen and ink! Hahaha! 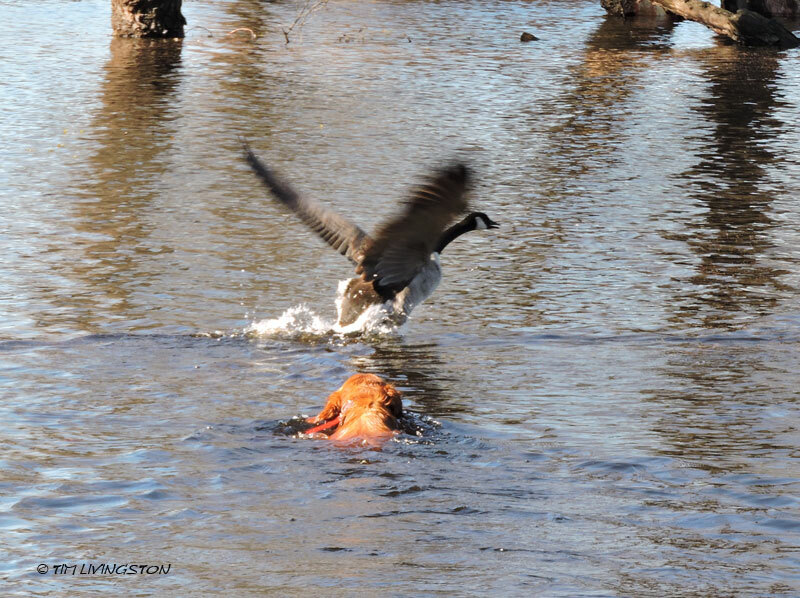 The dogs are just trying to make friends with the geese but the geese are not cooperative! LOL! I know, right! Those darn geese. Hahaha! Yes, so true! They wouldn’t let your dogs make friends with them. I suspect those geese could have been much more defensive on dry land, at least if a nest were involved. They were funny. They really did swim over toward the dogs, highly unusual. I think it’s because they are getting ready to nest. They didn’t like it when Sailor swam back! Cool Hand Like. Poor, unappreciated Sailor. Indeed. I love the detail in your drawings, as always. Brrr isn’t the water cold? but, Your pen and ink drawings are so accurate and beautiful. Thank you so much Holly! Yes, the water is pretty cold to me, but I think those dogs have anti-freeze in their blood. i know. my Aussie just loved to lie out on the snow banks. Those geese deserve every bit of trouble that comes their way. LOL We have been seeing the great blue heron and a flock of mallards on the pond lately. 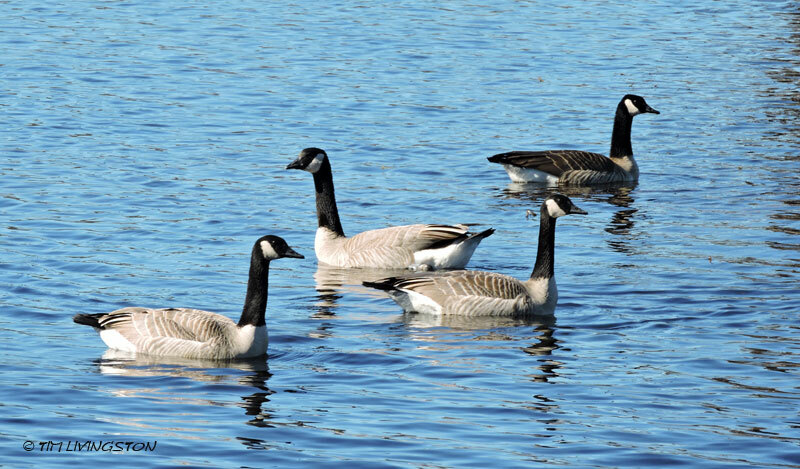 Fortunately the geese don’t stick around. Those geese think they own that pond. They seem to want to give the dogs the dickens every time we come around. Funny story! 😀 And the drawing is super lovely!